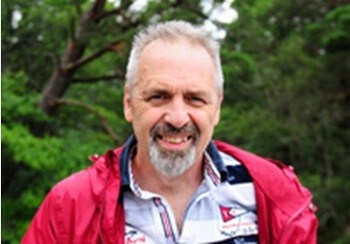 It was announced in the scientific journal Science today that Professor John Speakman from Institute of Genetics and Developmental Biology (IGDB), Chinese Academy of Sciences (CAS), has been elected as a Fellow of the American Association for the Advancement of Science (AAAS). He becomes one of only 7 other scientists that are listed on the AAAS website as fellows, whose primary affiliations are with Institutes in China. Speakman has been based at IDGB for the past 5 years as a ‘1000 Talents’ professor. His work is primarily concerned with energy balance. This work has broad implications for human health problems such as obesity, diabetes and ageing. Moreover, it is important for our understanding of the likely responses of animals to climate change. During the last 5 years at IGDB he has published almost 100 papers including 2 in Science and one in Cell metabolism. During his whole career he has published over 470 publications, eleven of which were in Nature or Science and two of which were featured on the front cover of these journals. Founded in 1848 the AAAS is one the oldest and largest Scientific organizations in the world. Its activities cover the whole of science and its goals are to promote co-operation among scientists, defend scientific freedom, encourage scientific responsibility, and support scientific education and outreach for the betterment of humanity. It has over 120,000 regular members and about 8000 Fellows, most of whom are based in the USA. It publishes the journal Science, and several other scientific journals. The certificate of Fellowship will be presented at the AAAS annual meeting in Boston in February 2017.